Being thankful is something that I think about often and something our team discusses on a regular basis, not just on days like today, Thanksgiving Day. 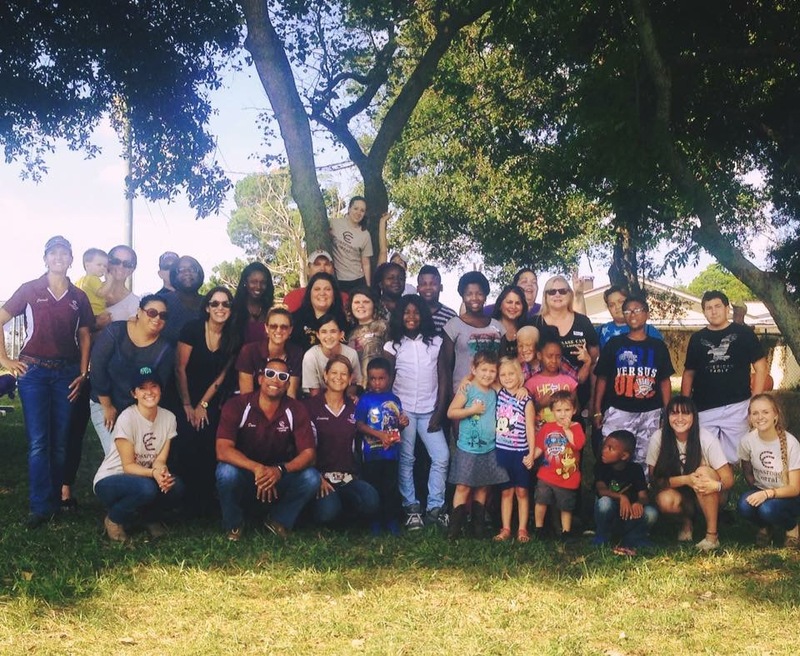 This year is extra special to us because we have been able to touch so many lives at Crossroads Corral and we have much to be thankful for. 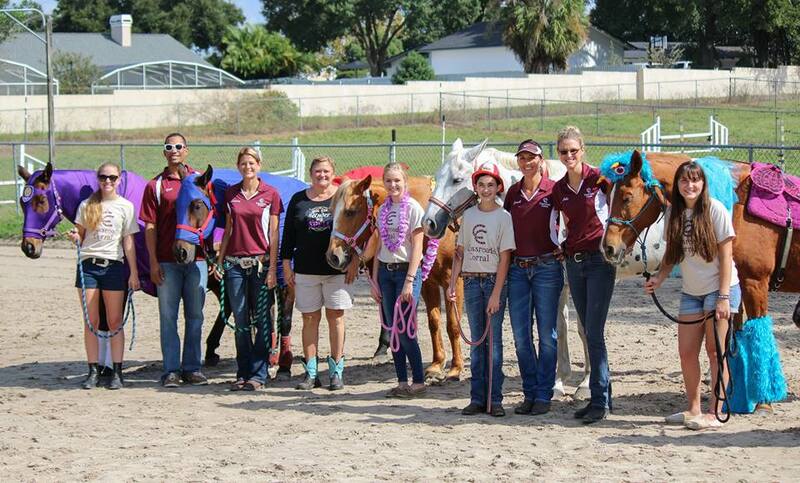 Our horses dressed up on Halloween at a recent event with BASE Camp. Starting Crossroads Corral and the daily care that is required to run operations are very time consuming. 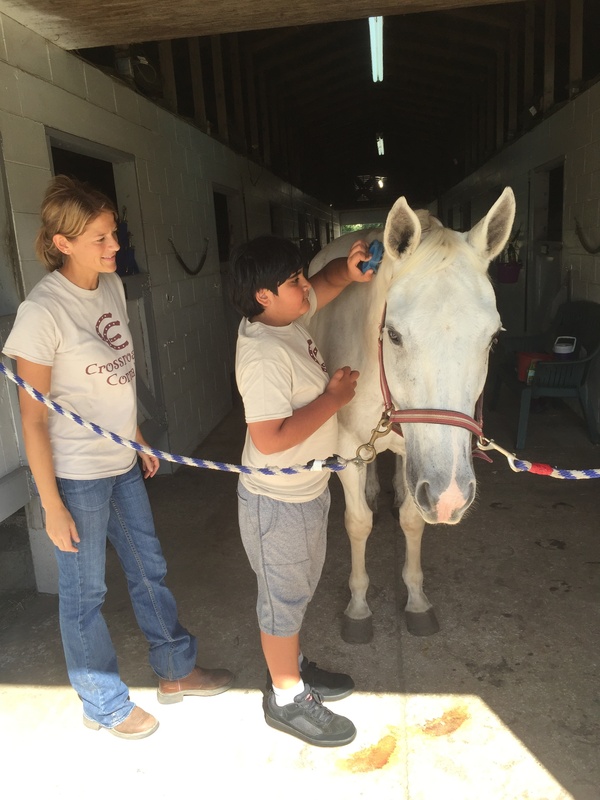 Julie and I truly love every second at the farm with our horses, volunteers and clients. With that said, we have been very late to get home to our husbands to cook dinner on many occasions, missed birthday parties (or arrived late), passed on weekend trips, etc. We are so grateful that our friends and family understand our commitment to serve others and we could not do what we do without their love and support. From our passionate and intelligent board of directors to our giving and faithful volunteers, we could not make an impact on many lives and our community without YOU. The Crossroads Corral team and volunteers posing with BASE Camp, an organization supporting children with Cancer and their families. As a Non-Profit organization we operate on donations. We do not have any paid staff and all money raised goes directly to the organization to serve our community. I can’t explain the level of excitement and gratitude we have when we receive a donation. We have great big dreams to help so many people with our horses and we CANNOT do that without you. When we receive a donation we know that you are saying, “I believe in you and your mission” and that is something that our team does not take lightly. Every dollar we receive lights a fire in our heart to help others. We hope that we can count on your support in the future to help us change lives. We are so blessed to be able to lease such a beautiful and peaceful place for our horses and guests. We have 7 acres of quiet country very close to the city. We are also very lucky that the farm owners believe in our mission and support Crossroads Corral. Every day our horses impress us when they are working with clients. Most of our horses are retired show horses. 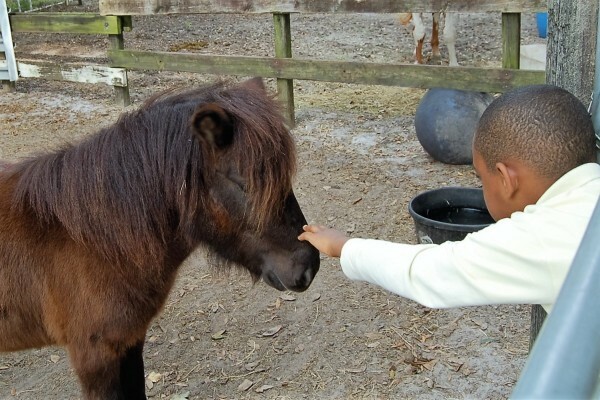 We also have a few rescues, a miniature horse and a trail pony. No matter what their background seems to be, they are all so willing, giving, intuitive, accepting and kind. 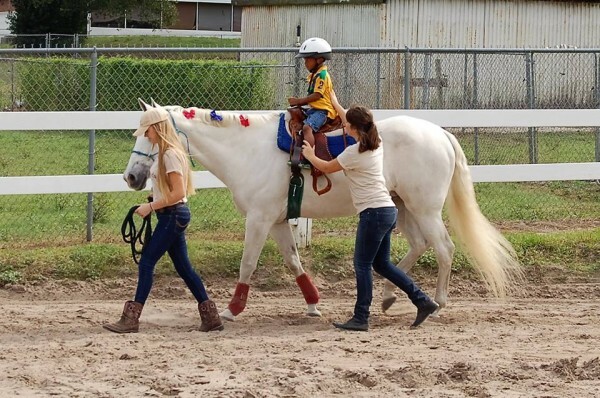 The acceptance that people feel when they are working with our horses is incredibly heartwarming. We are so thankful to other incredible organizations who have worked with us in our community! Big shout outs go to BASE Camp Children’s Cancer Foundation, The Mission Continues, The Wounded Warrior Project, The Lovely Project, Fairways for Warriors and Stefanie Lindlau, LMHC of The Meaningful Life Center. We are also incredibly thankful to Greg Kersten of the OK Corral Series for training and certifying our team. We would also like to thank Brand Advance for donating our logo, website and marketing materials. Our team with The Wounded Warrior Project and The Mission Continues. 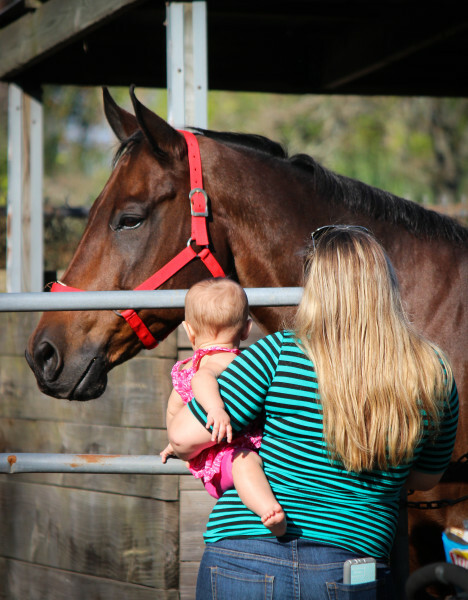 We are thankful for your trust when working with us and our horses. We appreciate your honesty and feedback and letting us into your world to help make a difference. We brought our barn cats from Pennsylvania to keep rodents out of the barn. What we didn’t realize was how much of a hit they would be. They are so social and meet everyone who comes through our gates with excitement. 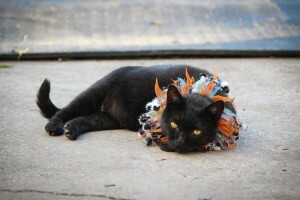 We have had several clients tell us that the cats are also “therapeutic”! They also keep us laughing daily, especially Max. Have a wonderful and safe THANKSGIVING and holiday season! Traumatic brain injuries can cause a host of physical, social, cognitive, emotional and behavioral effects on a person. The outcomes of TBI can range from complete recovery to permanent disability or death. There are several causes of TBI and in most cases there are many lobes of the brain that are affected. TBI is a major cause of death and disability worldwide, especially in children and young adults. Let me tell you about a sweet, 8-year-old boy who we get the pleasure of spending time with on our farm for Equine Assisted Learning. This young boy had a routine surgery at the age of 6 and in the recovery room was given a medication that caused him to have a stroke. The effects of the stroke then caused a Traumatic Brain Injury (TBI). His Mom describes him as a previously “chatty” and outgoing child. Since the TBI he suffers from difficulty word finding and recall, expressive aphasia (difficulty speaking what he is thinking), decreased memory, difficulty reading and writing, involuntary movements, decreased lower extremity strength and trunk control and when he gets nervous he begins to laugh excessively and needs re-directed to stop the laughter. He loves to play with the hose so during our sessions we use that as a reward. He responds very well to visual cues and we use a behavior chart during his session. We also write a plan for the session and he gets great enjoyment by crossing activities off the list. The goals of this session were to work on personal recall, writing letters he is having difficulty with, colors, word finding and expression. We use our 24-year-old gray quarter horse, Connie for his sessions as he has developed a connection with her. Next we worked on personal recall. I showed him Connie’s stall as her home and then I asked him to tell me who lives in his home- his response- mom, dad, sister (Correct). I then showed him her food bucket and asked him where he eats dinner. He first said in his room, and then said in the pantry so he got close. We discussed the difference between the kitchen and the living room and his bedroom. I then asked him to tell me about his home and asked where he lives, he could recall city and even his address. Last activity was “tell me about Connie”. He had to come up with 6 words to describe her while looking at her. He said, “soft, white, pretty, has a mouth, dirty and nice”. Finally since he had all smileys on his chart I allowed him to play with the hose by filling up our horse’s water buckets. He also got to feed Connie a carrot out of the feed bucket, which gives him much enjoyment! Some sessions are much more challenging than others as every day can be different for a person with a TBI. 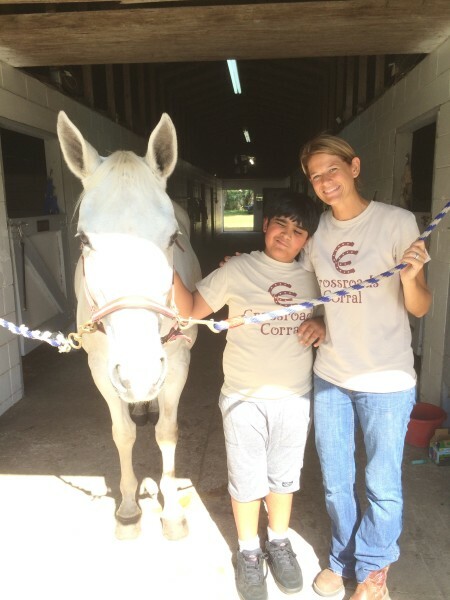 At Crossroads Corral he is able to further is learning with the help from a horse named Connie. I am so grateful to a wonderful volunteer, Tracy, who is an Occupational Therapy Assistant and friend who helps with his sessions. With her OT brain and my PT and EAL brain we are able to be creative and conduct meaningful activities with the horse that promote his learning and growth. He has become very loving to Ms. Connie giving her a kiss on the cheek and saying, “I love her”. He also has grown quite fond of us, holding our hand as we walk around the barn. There is no doubt that he is building a connection, which is something he has struggled with according to his Mom who is a Physical Therapist and extremely devoted to his care. We are so thankful to his wonderful family who allows him to spend time with Connie and us on the farm! Let me start this blog post by saying that I am neither an active military member nor a Veteran. 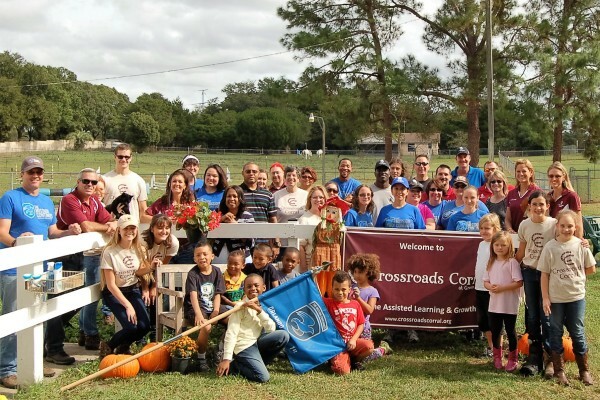 However, we at Crossroads Corral are passionate about giving back to those who have fought for our country. In May of 2015 we completed a certification seminar, “Coming Home Again: Equine Assisted Applications for Veterans and Their Families”. We have conducted much research on Equine Therapy for Veterans and spoken to many Veterans about their experiences and the subject of Equine Therapy. We have the utmost respect for our active military members and Veterans and that is why they are a group of people we want to reach with our horses. Veterans and horses have much in common. This is why equine therapy can be so beneficial in assisting Veterans with transitioning “home” post deployment. During basic training, recruits are trained to develop a “unit self esteem” which can be looked at as being part of a herd. The soldiers are no longer a just looking after themselves but for an entire unit (herd). When soldiers are in combat zones, they are on high alert at all times and constantly aware of their surroundings in order to stay alive and keep their unit safe. This behavior is the same for horses; they are constantly on high alert and analyzing their surroundings for threats. In any herd there is a horse in charge that looks out for the rest of the herd. Horses are instinctively hyper aware and very conscious of their surroundings. When someone leaves home to courageously fight for our country they come back a changed person. Friends and family may have seemingly innocent expectations and many may not understand why the Veteran who just returned home cannot go to the movies, walk the mall or even go to the grocery store. Friends don’t understand why they don’t want to go the nightclub they used to frequent, go see a concert or why they must sit in a restaurant facing the door. Our expectations of our returning Veterans place added stress to their lives. The young man or woman does not want to let their friends or family down but they need time to adjust and transition. Horses have NO expectations. They did not know the person before they left to fight for our country, they are only living in the “now” and looking at the person right in front of them. Horses allow people to “live in the moment” and truly be themselves without being judged. They don’t care what we are wearing, if we have makeup on or if we are at the barn in our PJs. 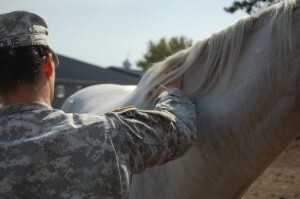 Trust is huge for Veterans and horses. Horses are willing to follow once they have gained respect and trust in a human. We are the same way; we don’t just trust just anyone, especially if we have spent time in a combat zone where we were constantly wondering who we could trust. It is a huge accomplishment if we can earn the trust of a 1200-pound animal and they can teach us how to trust again. An exercise can be as simple as a horse willingly walking beside you on a lead rope; this is the horse telling you, “I will follow you because I trust you will not lead me into danger”. Another example is if you are in the round pen with a loose horse and the horse willingly approaches you, that is trust. Horses are really great at protecting themselves and if they don’t have trust, they will retreat. Horses operate on Non-Verbal communication. Many of us do not realize how our non-verbal communication comes off to the rest of the world. Some Veterans have found that it is hard to build relationships with people post deployment. Horses have the instinctual ability to literally show us or “mirror” how we are presenting to the world. If you are in a bad mood, or acting “standoffish”, the horse is going to behave the same way. The client then begins to wonder, “why is the horse turning away from me when I approach or why does he/she have their ears back, its like they are ignoring me?” They pick up on our energy. I cannot tell you how many times I have personally had bad rides on my horse and looking back it was my fault. I was in a bad mood before I even got into the saddle. 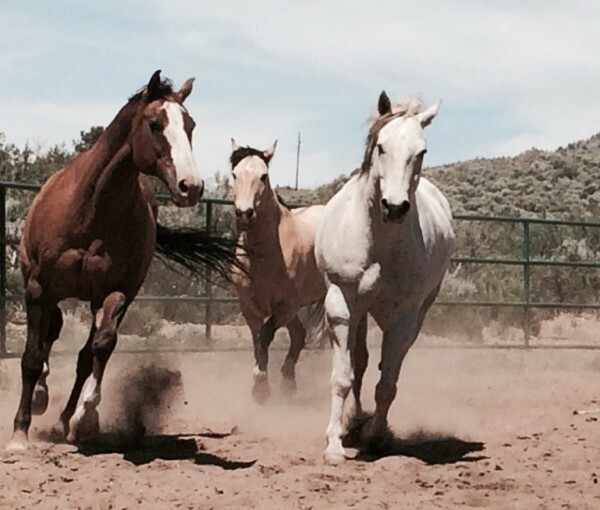 Horses are very quick to change from “at attention” to “at ease”. Humans on the other hand, get upset about something and it can take them an hour or even a day, week, or month to get over it and become “at ease”. If the horse in the wild sees something as a threat they react to the threat then quickly go back to grazing. Horses often re-circle when they see something they do not understand right away. I have seen it time and time again. A barking dog on the other side of a fence approaches a horse. The horse runs initially from the threat (reacting quickly), then stops, turns and slowly approaches the dog to get a better look (re-circle) and then goes back to eating grass (at-ease). We can use this as a metaphor for our Veterans. Horses can teach Veterans to acknowledge that a threat existed but then get back to their lives. If you are a veteran, active military, or from a military family and are living in Central Florida please consider us if you are seeking mental health counseling. We look forward to meeting you and welcoming you to our herd.